Recently Clarins released a face contouring palette that includes a blush, contour powder and matte highlight. It's limited edition and retails for $42 USD/ $49 CAD. Available on Clarins.ca and Clarins.com. If you'd like to see the palette in action I used it in a recent video Trying Out New Makeup. 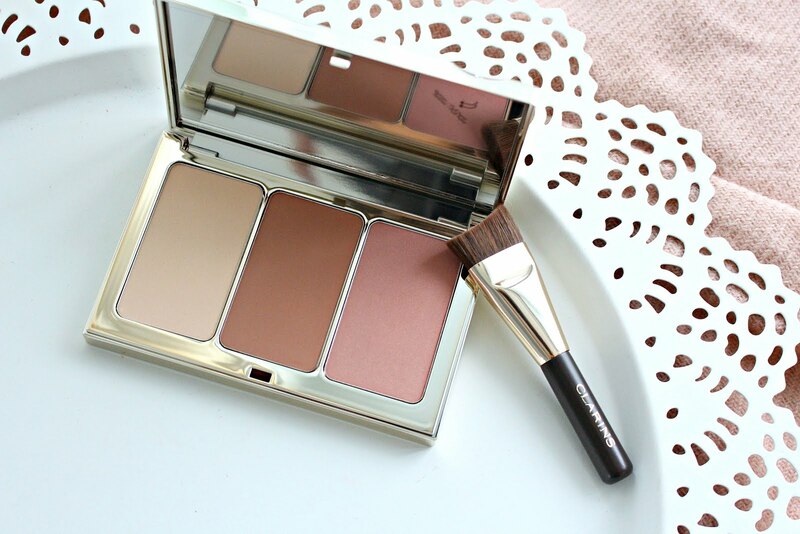 "This palette with its angled brush allows you to easily define facial contours. It contains three long-wearing compact powders enriched with organic sweet almond oil, as well as the Clarins anti-pollution complex, to leave skin comfortable and protected: a radiance-boosting powder brightens dark areas, a contouring powder corrects & minimizes prominent areas, and a fresh-tinted blush enhances the cheekbones." The packaging is a gorgeous gold and sleek compact. It does does show fingerprints pretty easily but that isn't a deal breaker for me. It also includes a pretty unique brush. I'll give it points for being a sturdy design, but usability for me is lacking. Might be better suited to placing cream contour but I can't imagine myself reaching for it to accompany this palette. 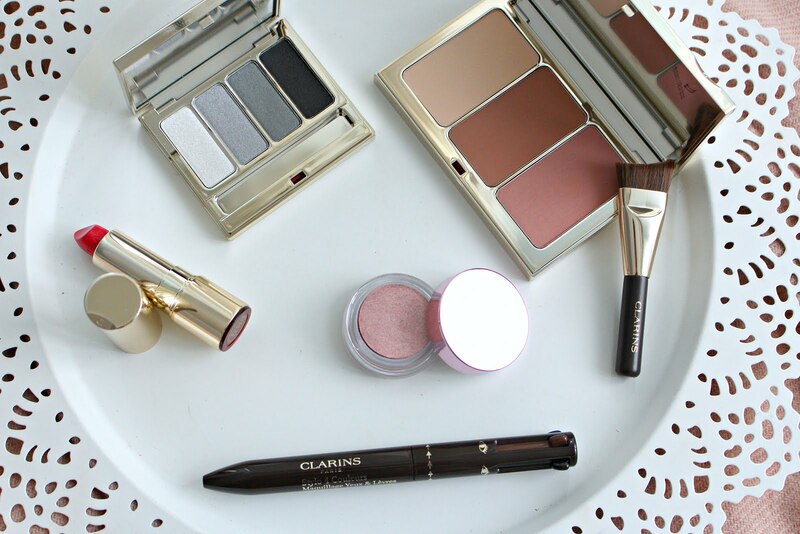 I was pleasantly surprised by the Clarins Contour Palette. 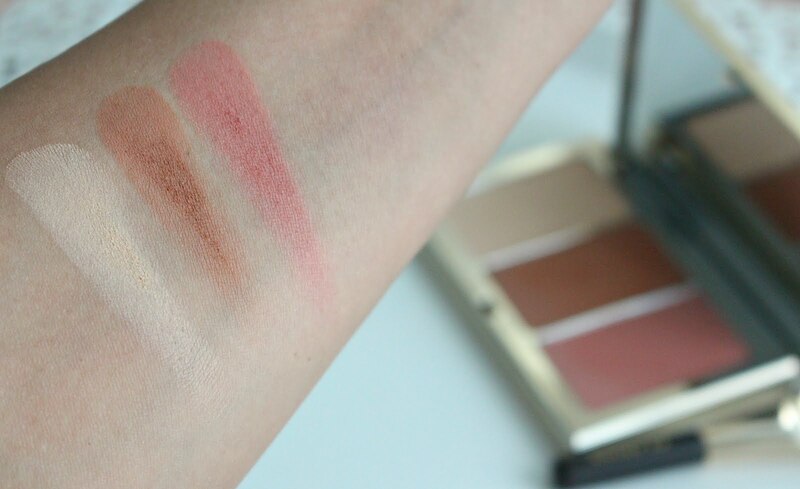 In general, Clarins doesn't cater well to deeper skin tones so I very much expected this palette to be too light. All of the powders are finely milled, smooth and matte. The highlight powder is good for setting your concealer and brightening your under eye. It's a creamy vanilla shade. You could also use it as a matte highlight on the bridge of your nose, forehead, chin and cheekbones. The blush is a great neutral shade, a rose pink. I think a lot of skin tones could make use of this. In my opinion the contour powder is more of a bronzer, a little too warm for a true contour. That being said, it warmed up my skin and added definition which works for me! The majority of the time face palettes do not suit me as the bronzer/contour powder is far too light. If you have very fair skin you may find this a little too deep. Overall, I think this is a great palette. My issue with it is the "limited edition", not sure why so many brands are leaning towards limited edition over creating cult favourite products. Especially a palette like this that people could easily make a part of their everyday routine and then have no means to repurchase. I hope they are just testing the waters to see if it sells well and then will introduce into their permanent line. *This product was sent for my review, some links are affiliate.